On my way back from Killeavy churches in Armagh, I decided to do a quick detour. 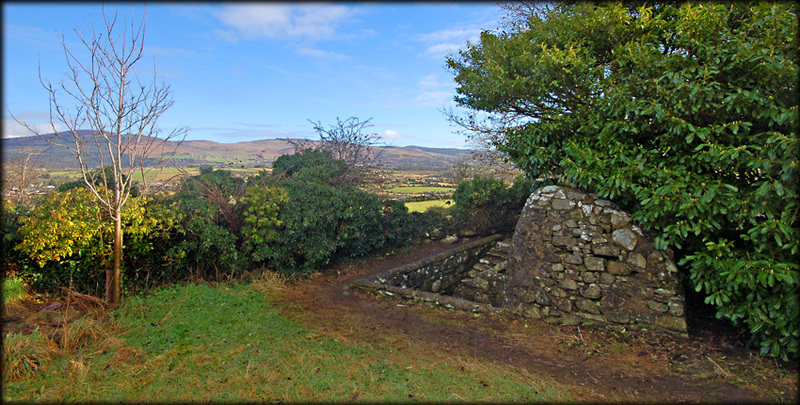 Situated on the slopes of Faughart hill are St Brigid's Shrine and Holy Well. 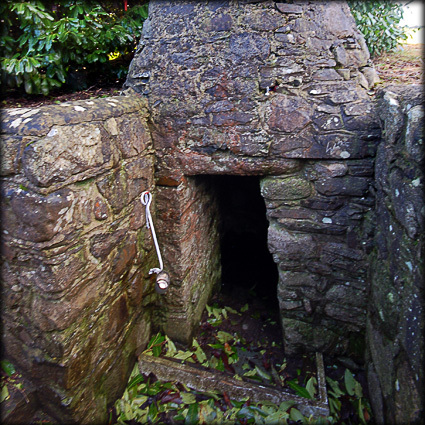 The Well is situated at the far side of Faughart Graveyard. The water is about two metres below ground level with stone steps leading down to it. I particularly like the well head here at Faughart. It is made from stone and resembles a beehive hut. My only regret was my stay was too short, the views from here are quite stunning and I had a perfect sunny day to just relax and appreciate them. Scattered around the graveyard are a number of interesting antiquities, such as the grave of Edward Bruce, brother of Robert Bruce King of Scotland. Also between here and St Brigid's Shrine is a well preserved Motte. It was a pity Deb was not with me on this occasion, this is her kind of place, but we will definitely call back soon and hopefully have more time to explore the motte and graveyard. Situated: Take the M1 north. After Dundalk take exit 18 for Faughart. At the roundabout take the second exit. After the sharp bend take the first right and the next left. The car-park is up this hill on you right. Discovery Map 36: J 059 126. Last visit February 2011.